This weeks Photo Wednesday was taken in the Geomdan area of Northern Incheon (Close to Cheongna). 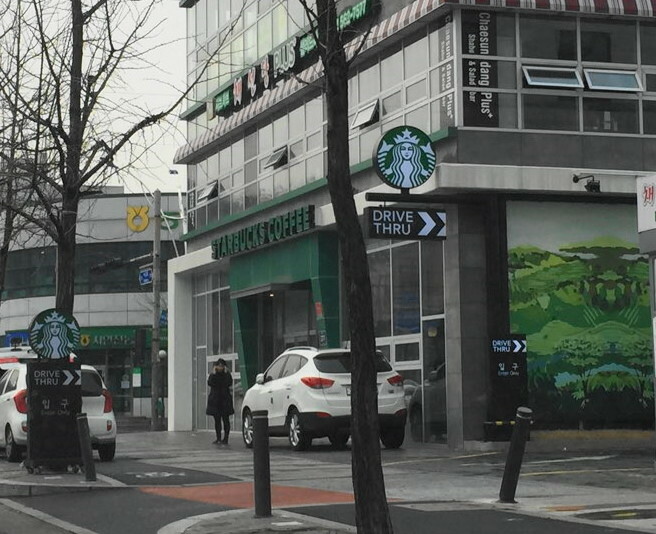 This photo shows one of Korea’s growing number of Drive Thru Starbucks / Coffee Shops. 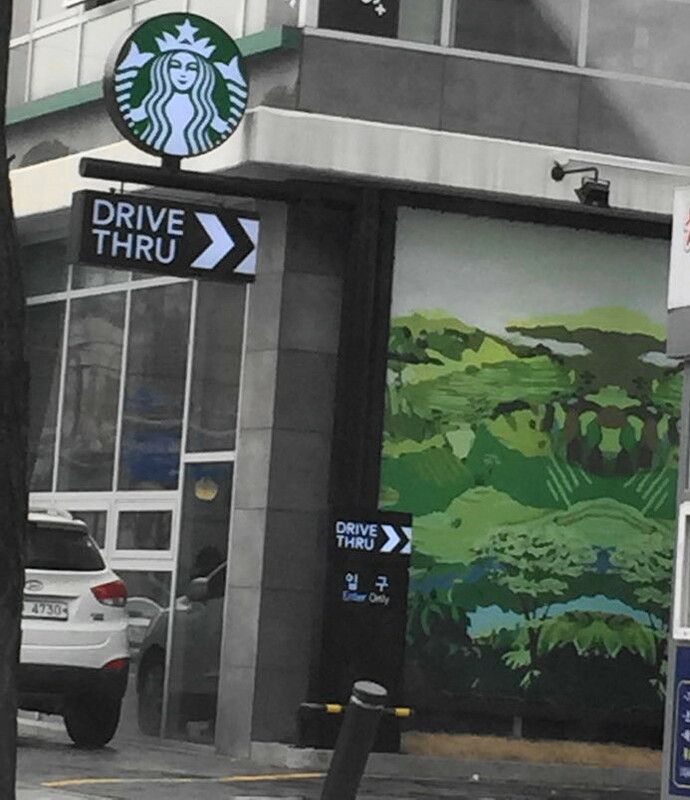 Drive-In or Drive Thru isn’t as popular here in South Korea as it is in North America or Europe. However it’s a growth area and some big businesses like Starbucks are starting to cash in. Last weeks Photo Wednesday – “ Ironman and Batman Spotted outside a Gangnam Cafe” can be found HERE. I don’t see this as a good thing. What makes Korea’s cafe culture so unique and awesome is how easy it is to grab a seat and catch up with friends. Cities should also move towards more walk-ability rather than embracing cars.